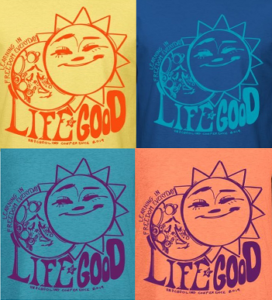 The LIFE Is Good Conference is first and foremost a community of unschoolers and their families. As part of that community, each of us must remember to be responsible for ourselves, our children and our space. We intend this conference to be a safe place, both physically and emotionally, for everyone who attends. Please read each of the following policies and guidelines before completing registration. • Freedom AND Responsibility: The conference can feel big and overwhelming, especially to newcomers. There is an immediate sense of freedom that members pick up on. In light of this, it’s easy to forget that at its best, unschooling is about developing a deeply connected relationship with our children. Many of us can become easily overwhelmed and swept up in the excitement of a conference. We ask that all parents stay very connected with their children, and maintain awareness and communication with them throughout the conference — we do not mean control, but partnership and support. Stay near them. Be aware of where they are and how they are feeling and interacting with others. Support them in finding the things they want to do. Share the information with them that will help them to decide what is appropriate and what may not be acceptable in a public place. Be accessible. • Quiet Time: We are not the only guests at the hotel, nor is everyone in our group a night owl. In consideration of others, the hotel hallways and guest room areas must be quiet after 10 p.m. The conference lobby area will remain open and available for late night discussions, socializing, music making, etc. • Guests at the conference: Because of the very free-range nature of the learning that goes on in the unschooling community, those who are not in an unschooling paradigm can very easily see the freedom, but not so easily see or understand the responsibility that accompanies it. We therefore ask that you not bring friends who are not unschoolers to the conference, even for a short visit. If there is someone who is not an unschooler, but you feel is important for you to bring, please contact us in advance to discuss your situation. • Independent Unschooling Teens: Independent unschooling teens who wish to attend without a parent or guardian may do so as long as a parent or legal guardian completes a Release of Claim form found with the “Independent Youth Registration” in the conference store. • Conference staff: Please be responsive to conference staff. The staff members are volunteers and are there to help the conference run smoothly for everybody. If a problem is noticed, expect a staff person to discuss it with you. However, conference staff members are NOT responsible for watching children or conflict resolution. YOU are responsible for your child(ren). If you have a question about what is or is not appropriate behavior at LIG, please ask Mary Jensen (Conference Coordinator), or one of the other experienced staff members. • Public Spaces: Heathman Lodge policy prohibits outside food or drink in the public areas of the hotel. Food and Beverage in the public areas must be provided by the hotel. Food and beverage brought in from an outside source must be consumed in a guest suite or offsite. • Safety: Remember that no matter how comfortable we all feel during the conference weekend, the hotel is still a public space. Please be aware and appropriately cautious. • Hotel Pool Rules: Children under 14 MUST be accompanied by a responsible adult, even if they are great swimmers. No exceptions. Make sure your child knows who is there with them. Remember, use of these facilities is at your own risk. It’s important to be aware of what is happening when there are people in the water. There are no lifeguards. You are responsible for you and your family. For the safety and well being of all who attend, the LIFE is Good Conference reserves the right to ask anyone to leave the conference at any time.